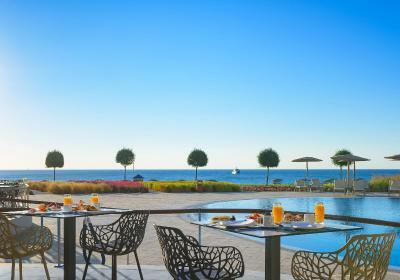 Lock in a great price for Elysium Resort & Spa – rated 9 by recent guests! The staff were amazing at the front desk, in the restaurants and bar areas, and for house cleaning - totally customer service oriented - friendly and kind! Good humen service. Clean place. Very good breakfast. the Staff were very friendly and eager to help. Wait staff for breakfast lunch and dinner were on point. 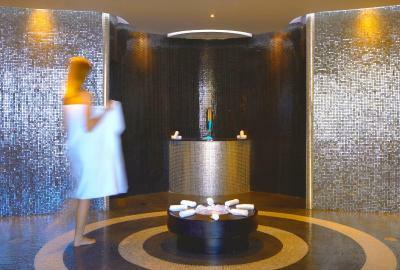 Spa staff gave excellent service that was worth the money. 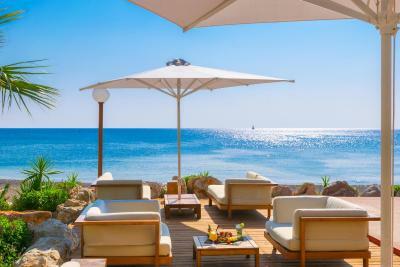 The facilities were extravagant and lovely, the sun beds on the beach were a nice touch as well! The room was lovely! Beds were comfy and loved the spa shower! Absolutely loved the complimentary wine and desserts! Bell hops were awesome! 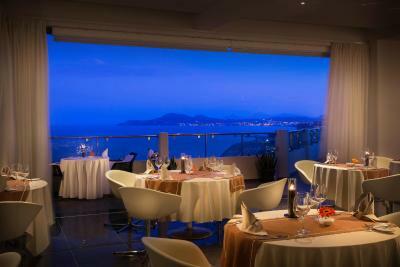 Excellent service, very friendly staff, Manolis the service manager is an asset for the hotel. Blue flag sea in the front is very nice. Rooms are clean and comfortable, location is very good. The hotel is beautiful, well maintained and clean. 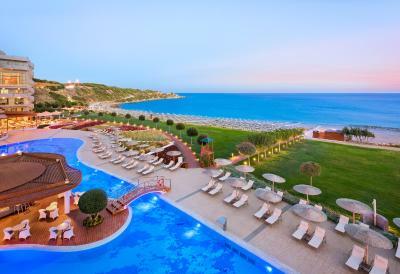 Elysium Resort & Spa This rating is a reflection of how the property compares to the industry standard when it comes to price, facilities and services available. It's based on a self-evaluation by the property. Use this rating to help choose your stay! 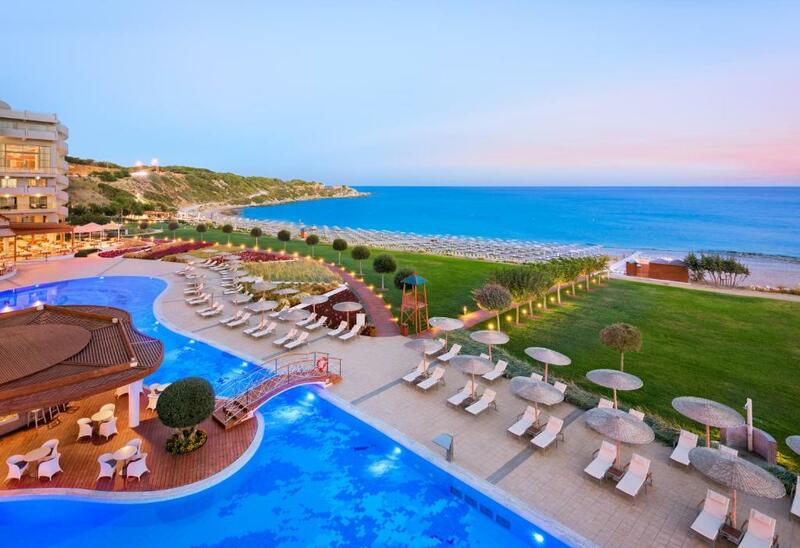 One of our top picks in Faliraki.Enjoying a beachfront location in Kallithea, the 5-star Elysium Resort & Spa features a lagoon-style pool, a hydromassage pool and an 800-m² spa center. 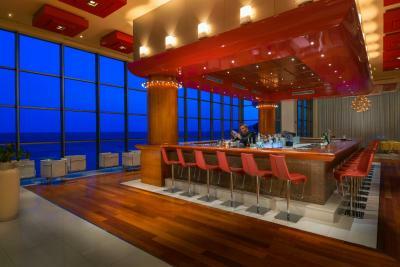 It offers fine dining, 3 bars and elegant accommodations. The resort's premises also include 2 escape rooms. 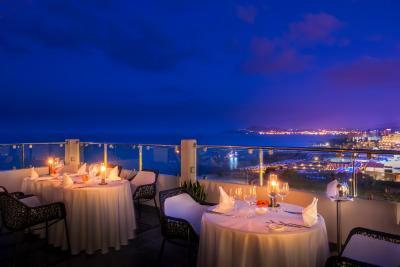 The stylish rooms of Elysium Resort & Spa are spacious, and each offers a balcony with sea views. 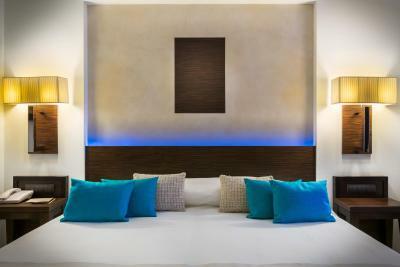 In-room facilities include a 26” LCD satellite TV, mini fridge and safe. Some units also offer a spa bath. Rooms and suites located on the Elite floor have access at the Elite Club lounge offering complimentary light snacks and beverages. 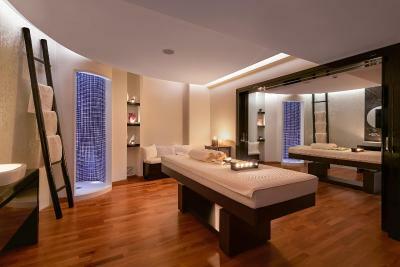 The Serenity Spa offers a wide range of massages, facial and body treatments, and hydrotherapy. 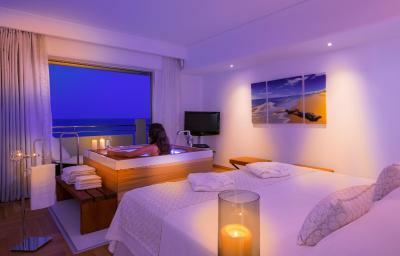 Facilities include a fitness center, hammam, sauna and vitality pool with 16 massage jets, as well as outdoor hot tub. All are available upon extra charge. 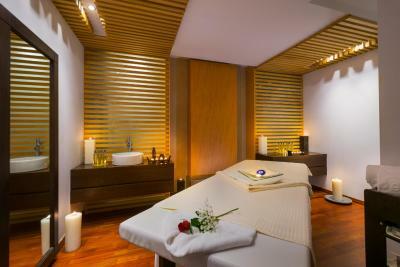 The property's Serenity Spa features the exclusive ESPA® products and treatments. 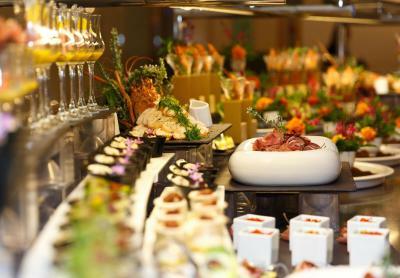 A rich American breakfast buffet is served at the terrace of the main restaurant. 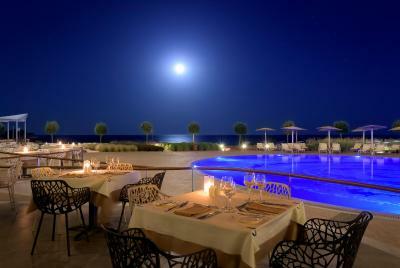 The a la carte poolside restaurant serves local and Mediterranean delicacies. 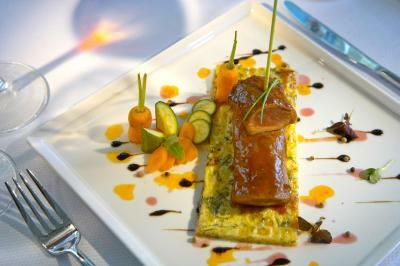 The Emerald restaurant serves international cuisine. 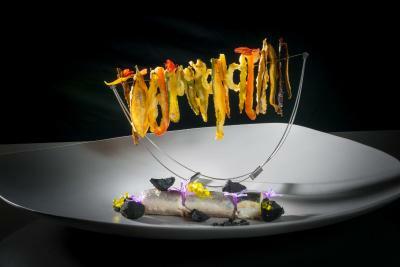 Modern Rhodian cuisine is proposed at the rooftop gourmet restaurant Noble, awarded with a Toque d'Or 2018 and whose chef has also been awarded the prestigious "Young Chef of the Year" for 2016. 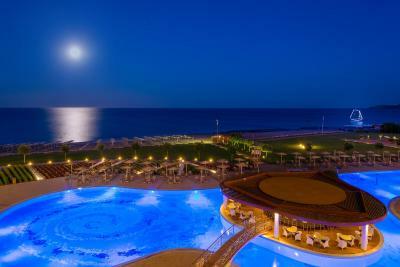 Rhodes town is 5 mi away from the resort. 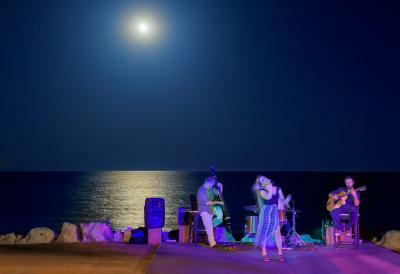 The popular seaside town of Faliraki, famous for its nightlife options is at 2.5 mi. Free WiFi is available throughout. 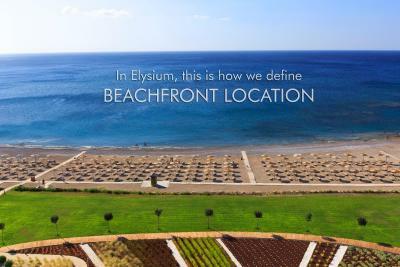 When would you like to stay at Elysium Resort & Spa? 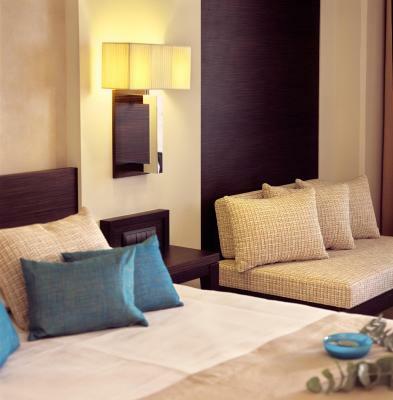 Deluxe rooms are spacious and feature a seating area, private bathroom and furnished balcony. Maximum occupancy is 3 adults or 2 adults and 1 child below 2 years old at a baby cot (upon request). No extra beds can be added in this room type. Superior deluxe guest rooms offer a living area and a deluxe bathroom with brand name bath amenities and hydro-massage bathtub. Maximum occupancy is 2 adults. No extra bed allowed. Price shown is for 2 adults. Located in the hotel's executive floor, this room features wooden floors, an LCD TV, private bathroom with hot tub, free WiFi and furnished balcony. 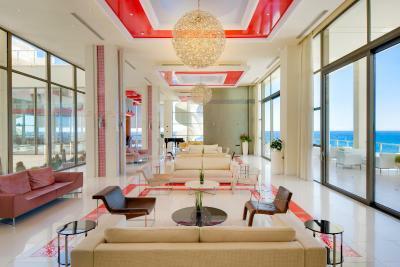 Extras include a pillow menu, branded amenities and a bottle of water on a daily basis. A Nespresso® machine with complimentary capsules is available. The room price is for 2 guests. Maximum occupancy is 3 guests. Please see hotel policies. - late check-out until 16:00 (based upon availability). Spacious suites with walk-in closet, 2 LCD TVs, CD / DVD player, free internet access, private bathroom with hot tub, turn down service and furnished balcony. A Nespresso® machine with complimentary capsules is available. The room price is for 2 guests. Maximum occupancy is 2 adults and 2 children. Please see hotel policy. 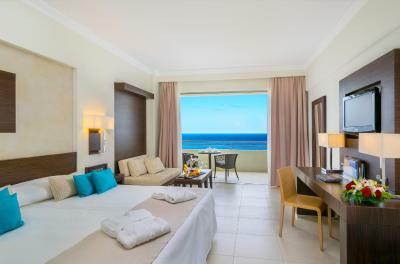 This room is allocated on the elite club executive floor of the hotel and features wooden floors, an LCD TV, private bathroom with bathtub, free WiFi and a furnished balcony. 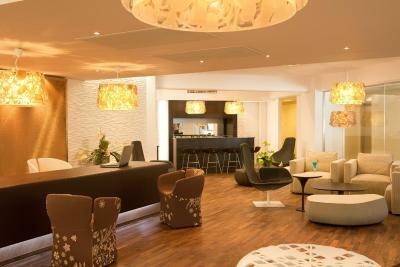 Extras include a pillow menu, branded amenities and a bottle of water on a daily basis. A Nespresso® machine with complimentary capsules is available. This room type can accommodate 2 adults and 1 child below 12 years old. No extra beds can be added in this room type. 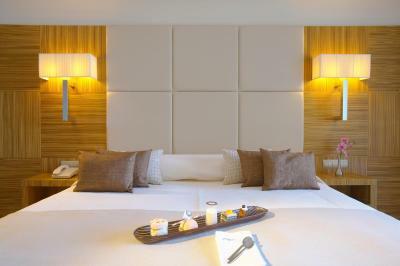 This suite features a balcony, spa bath and seating area. A Nespresso® machine with complimentary capsules is available. This suite has a balcony, bathrobe and sofa. A Nespresso® machine with complimentary capsules is available. 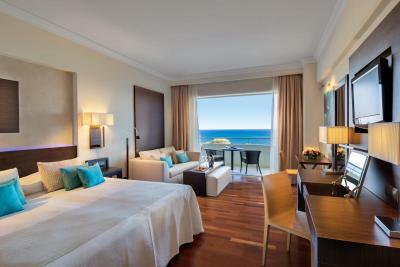 Fitted with a spa bath and wooden floors, this air-conditioned junior suite offers sea views from its balcony. It features a spacious seating area with flat-screen and satellite TV. Extras include a pillow menu, branded amenities and a bottle of water on a daily basis. A Nespresso® machine with complimentary capsules is available. 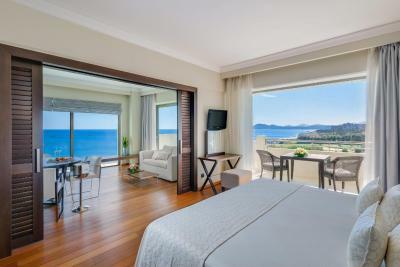 Fitted with wooden floors, this air-conditioned suite offers sea views from its balcony. It features a spacious seating area with flat-screen, satellite TV and DVD player. Extras include a pillow menu, branded amenities and a bottle of water on a daily basis. A Nespresso® machine with complimentary capsules is available. 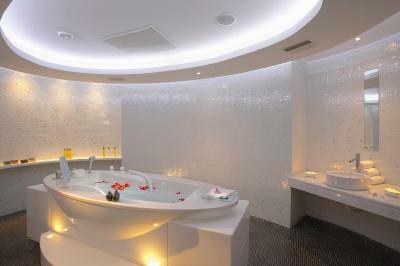 This suite features a balcony, spa bath and tile/marble floor. A Nespresso® machine with complimentary capsules is available. 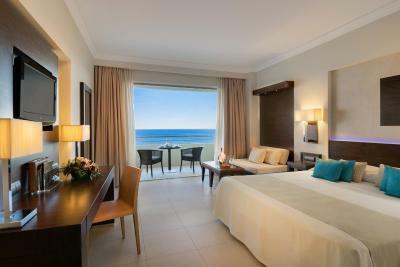 Fitted with a spa bath and wooden floors, this air-conditioned junior suite offers sea views from its balcony. It features a spacious seating area with flat-screen, satellite TV and DVD player. Extras include a pillow menu, branded amenities and a bottle of water on a daily basis. A Nespresso® machine with complimentary capsules is available. 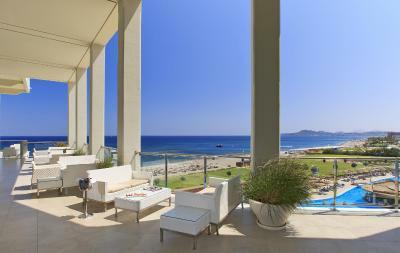 Fitted with wooden floors, this air-conditioned luxury suite offers sea views from its balcony. It features a spacious seating area with flat-screen, satellite TV and DVD player. Extras include a pillow menu, branded amenities and a bottle of water on a daily basis. A Nespresso® machine with complimentary capsules is available. 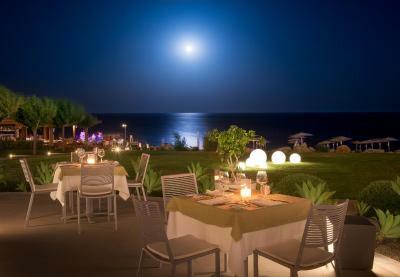 Elysium Resort & Spa is Rhodes’ premier 5 star deluxe beach- front resort hotel. Our famous Serenity Spa offers the renowned ESPA treatments & products and it has been featured in National Geographic Traveller's (UK) "The Collection of Luxury Spas" that includes some of the best spa hotels & resorts worldwide. 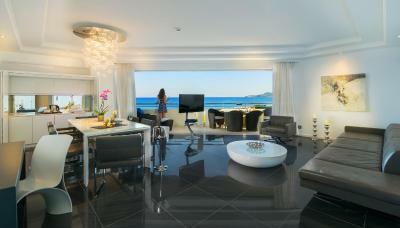 House Rules Elysium Resort & Spa takes special requests – add in the next step! Elysium Resort &amp; Spa accepts these cards and reserves the right to temporarily hold an amount prior to arrival. Elysium Resort & Spa accepts these cards and reserves the right to temporarily hold an amount prior to arrival. 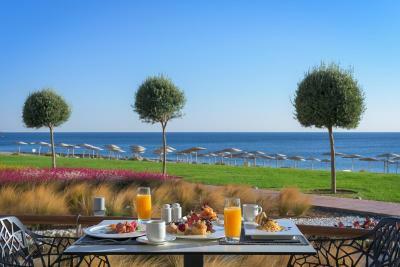 Please note that Elysium Resort & Spa participates in the Greek Breakfast Initiative by the Hellenic Chamber of Hotels. 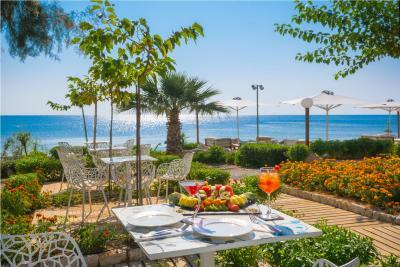 Gentlemen are required to wear long trousers during dinner in the Emerald Restaurant and the Noble Gourmet Restaurant, while in the Fresh Mediterranean Restaurant gentlemen may dine with smart casual short pants. -in case of no show or of early departure, 100% of the total amount will be charged. 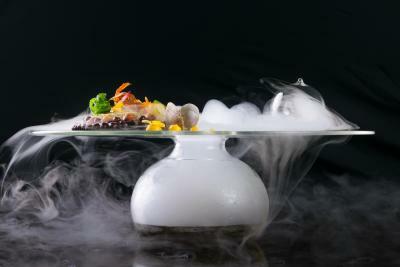 -the total amount of the reservation will be charged upon arrival. 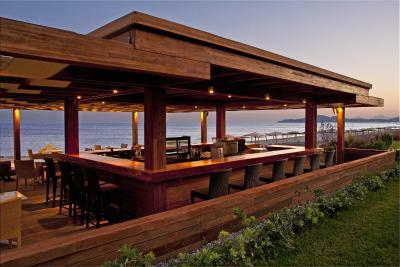 Excellent pool bar & beach bar, excellent service at both. The pool which was big, the beach directly in front of the hotel. 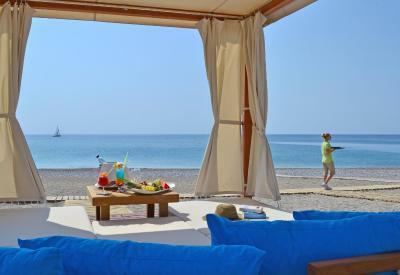 It is a little secluded but there is a bus stop outside which will take you into Faliraki and Rhodes Town. Also renting a car from the airport or at the hotel is very easy. The hotel was very well appointed. 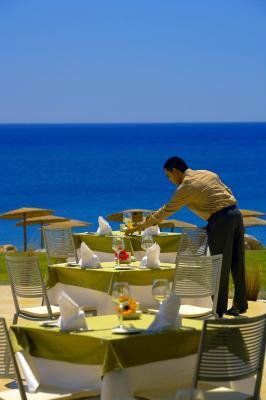 Great service and very good value room service! It was possible to have a white table cloth meal on our balcony which was very romantic and no more expensive than sitting in one of their restaurants. A real highlight. Rooms are not very clean and reciption staff are not helpful.